US Sailing has developed the first national on-the-water hands-on certification for small powerboat handling. Certified instructors provide flexible, entry-level courses for adults and youth. 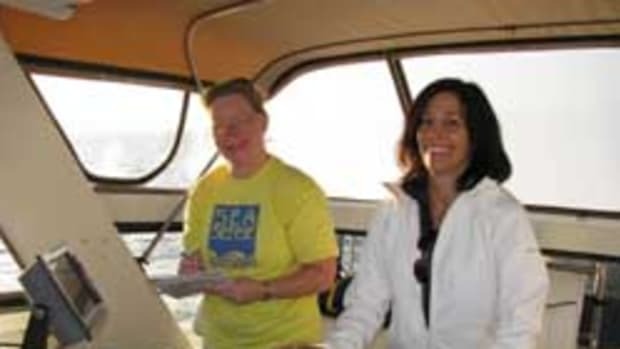 "The practical skills taught provide the beginning boater everything they need to know to operate a boat safely and with confidence," said Rob Crafa, a member of US Sailing&apos;s Community Sailing Council and a Powerboat Training Coordinator. "Experienced boaters are also impressed by learning things the right way, correcting bad habits and discovering new tricks. The logical progression from classroom to dockside and on-the-water training has been developed over decades of experience and is supported by highly trained instructors with the latest training materials." Use the US Powerboating course provider and course calendar to find a course near you. Visitors can also contact a certified Powerboat Instructor in their area to schedule a course.